Freeze Dried Blood! Every day the likes of probiotic "good" bacteria in yoghurts, and even the enzymes in washing powder, give us a helping hand. This week we investigate how scientists are designing new ways to protect and guard these tiny helpers, including new techniques to freeze-dry human blood. Plus, news of how sleep boosts learning, the effects of foetal nerve transplants for Parkinson's, tree-hugging koalas and why negative Facebook friends can make you moody. This week a new paper has been released about Parkinson's Disease - the degenerative brain disorder which is characterised by shaking tremors and irrevocably linked to Boxing great Muhammad Ali. There is currently no cure for Parkinson's but 20 years ago, doctors took the radical step of trying to treat the disease by injecting new nerve cells into patient's brains. However the technique was controversial as the cells they used were from human foetuses which came from elective abortions. 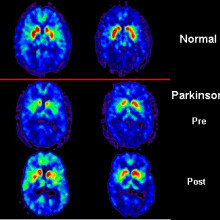 Ole - Parkinson's disease - what happens in the brain is that a particular group of neurons that are called dopamine neurons, you start off at birth with about a million inside of your brain, they will degenerate over time. The brain compensates for that for many years usually. When you have lost about 70% of those dopamine neurons, it will be very difficult for the brain to initiate a movement. So Parkinson's disease is primarily seen as a movement disorder. There's also usually a shaking tremor and a rigidity in the muscle. Chris - So, how do people think we should be treating Parkinson's disease? What do we think is the best way of overcoming the problem? Ole - It was clear quite early, or many years ago in fact, that if you added dopamine or a substance that can make dopamine that people could start moving better again. But it became apparent that after about 5 to 10 years, those drugs usually lost their efficacy. And so, several of us many years ago started thinking about ideas which were more radical at the time which was to re-implant those nerve cells that were lost. And the step is quite conceptually new in that, this paper we're publishing suggested that actually in the future, we'll be able to repair circuits, not just by providing chemicals, but by providing new cells. Chris - And the cells that you're seeking to put into the brain, where are they coming from? Ole - Well, this study is actually very important because it used to prototype what we're going to do with the future with stem cells. In this particular study that actually started 15, 16 years ago in Canada, we went along to study transplanting cells from elective abortions. To do that, almost 6 foetuses had to be dissected and the little piece of the midbrain where these new born nerve cells are, it's about a cubic millimetre. They were then dissociating into a liquid and injected back into the patient's brain. Now, the reason I call that a prototype because that's a very difficult process to do indeed and by some, considered unethical. Chris - The idea being that these foetal cells, when you put them in, they can wire themselves in and turn into dopamine producing nerve cells, helping to make up some of the deficit that the patient's brain previously were suffering from. Ole - That's exactly right, Chris. The work that's been actually occurring over the last two decades confirm that, and this paper is however very important because it establishes that the cells remain very healthy in our study here up to 14 years after implantation, which actually coincides with the longevity of function which is even more important to the patient. So, current studies indicate that one set of implanted neurons can work for up to at least 20 years and these patients actually have no use for drugs anymore. Therefore, it's quite remarkable. Chris - So, how did you actually do the study? Did you have to go and get post-mortem tissue from people who had one of your transplants but have now unfortunately died and asked, has the transplant survived in these people? Ole - Yes. This study which commenced many years ago has had of course, 20 years ago, have had patients that have died over time obviously by different reasons than the transplants. For example, heart disease is common. We have obtained in each one of those cases the brain for post-mortem studies as we have been fortunate to be able to study these brains in great detail. Chris - And what are the implications of this study? You've looked in these brains, you've seen that the cells that you put in 14 to 20 years ago appear to be surviving for that long. Why is this important? Ole - Well, it's very important because Parkinsonian patients will not be receiving foetal cells in the future by any stretch of the imagination. Over the last 3 or 4 years, we've been able to produce the very same dopamine neurons we had obtained by elective abortion by reprograming skin cells from patients and then making those cells into the equivalent of a stem cell that we're able to show that the dopamine neurons that had died in Parkinson's disease could be generated in a dish. So, in other words, the very importance of this study is that it lays a foundation for us to now pursue the same cell by transplantation that we can now obtain in the dish. And that would allow us to scale up to a degree that maybe cell therapy, if it turns out to be effective in clinical trials, it would be a real alternative to the current methods that the patients have for this very terrible disease. Chris - Ole Isacson with some very good news for Parkinson's sufferers and he published that work this week in Cell Report. It's interesting Kat isn't it because 20 years ago, I remember those trials going on and it just goes to show how long the research cycle is between us doing something and then us finding out what the implications and outcomes really are. Kat - Absolutely and it's incredible how stem cell technology has changed in that intervening time even in just the past 5 years. So, I think it will be really interesting to maybe re-visit this, maybe if we're still broadcasting in 20 years' time and see where the new crop of stem cell therapies have gone with this. Chris - Because like you say, everyone thought at that time, the only way we were going to be able to do this was to use foetal tissue. The idea of taking a skin cell from an adult and being able to reprogram it to turn it into a nerve cell, so you'd get your own cells back. People thought you were mad if you said that that was even feasible. They didn't think it would be possible to do. Kat - And certainly now it is, but like with Ole's research it takes you 20 years to find out how well they worked. This week, the ‘Godfather of ecstasy’,who synthesised and tested over 200 psychoactive substances, died peacefully in his sleep. This week, Alexander Shulgin, the so called 'Godfather of ecstasy' died peacefully in his sleep. - When taken, it produces feelings of euphoria, and a sense of intimacy with others. In some cases, it can also produce hallucinations. - However in some people it can induce panic attacks, confusion and paranoia. - MDMA increases the release of at least 3 chemicals in the brain known as neurotransmitters serotonin, dopamine and noradrenaline. - Serotonin plays a role in regulating mood, amongst other things, and this is probably the reason for ecstasy's mood enhancing effects. - Users often experience a 'come down' after use. Serotonin is slow to be replenished after large amounts are released by the drug. This means that as its effects wear off, serotonin levels dip below normal, causing feelings of depression. - Prolonged use can cause the serotonin receptors to become less sensitive, as they try to counteract the unnaturally huge releases of the neurotransmitter that are bombarding them on a regular basis. - This can cause long periods of depression In people who are pre-disposed to it, even after they stop taking the drug. - If you are taking antidepressants known as SSRIs, or 'selective serotonin reuptake inhibitors', such as Prozac, you won't feel the effects of MDMA. - This is because the anti-depressents block the MDMA's route into the nerve cell, so it can't cause the release of serotonin. - It has been suggested long term usage could damage nerve cells, particularly in the hippocampus, which is important for memory. But there is still debate over whether this is specifically due to ecstasy use. - One of the biggest dangers from taking the drug, however, is the difficulty in knowing that it is pure. 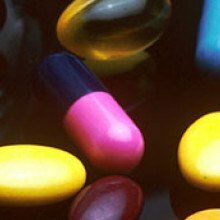 Pills are often cut with other substances, ranging from caffeine to cocaine, so you can never be quite sure what you are taking. - In the 1970s, ecstasy was trialled for use in therapy, although this never really took off. More recently, it has been suggested as a treatment for Post Traumatic Stress Disorder, allowing patients to confront their fearful memories whilst feeling calm and relaxed, thanks to the drug. 16:01 - Why are Koalas tree-huggers? Koalas hug the trunks of Eucalyptus trees very tightly. But not just to hang on. Scientists have now found that they use it to keep cool. 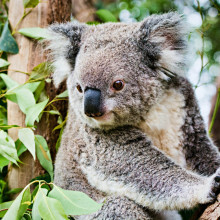 Alongside the kangaroo, koalas are one of Australia's iconic animals. People call them koala bears, but they're not really bears, they're actually marsupials and they live in - and exclusively eat the leaves of - eucalyptus trees. They also hug the trunks of their host trees very tightly. But not just to help them hang on. Using infrared cameras, scientists at the University of Melbourne have found that they do it to keep cool, as Victoria Gill explained to Chris Smith. Victoria - This is about koalas controlling their body temperature. I mean, you might remember some of the new stories about the extreme heat wave that they had in Australia, particularly in Queensland and South Australia last year or earlier this year in our winter, in the northern hemisphere. This is about them hugging trees to actually cool down their bodies. So, these researchers were studying koalas out in a sanctuary and they were observing their behaviour to see how they regulate their body temperature because in these extreme environments, that's very important for their survival. They noticed that in the summers, on very, very hot days, they would come further down into the trees and press themselves right up against the really thick parts of the trees. This is a bit puzzling because the researchers assumed that they would sort of open up their bodies to lose heat, but they're actually hugging the trees even tighter. When this team from the University of Melbourne got their hands on a thermal imaging camera, they saw exactly what the koalas were doing. The tree trunks are much cooler than the air temperature, as much as 7 degrees cooler than the air temperature. The koalas are actually pressing their bodies, wedging their bodies right up against the coolest parts of the tree in order to lose heat. Chris - That's a big difference in temperature, isn't it? Victoria - It is indeed. That's what's important about this study in terms of what it shows about this particular environment. Big trees and it has to be big trees because they have these very dense trunks that can retain that temperature difference, that coolness, are very, very important little microclimates for these tree-dwelling animals. And they allow them very importantly to lose heat without panting. That's crucial for these animals because they have very little access to water if they're up high in the trees feeding. They can often not get access to water very easily and if they pant, they actually evaporate water out of their bodies and lose this water. But if they just press their bodies very closely against the tree, they can lose heat without losing that precious water. Chris - So, there's a couple of issues here isn't there? The scale of the trees - big trees - they're in demand for logging and timber. And they're hard to replace. And then there's the issue of climate change which is also going to having implications for the temperature and the sorts of plants that will grow so the animals could face a double whammy. Victoria - Absolutely. I mean, it's a troubling picture for koalas anyway at the moment. But at least, it gives researchers an insight and it gives ecologists and people who make decisions about what areas of landscape to protect specifically for nature reserves and for these animals, it gives them an insight into just how important big trees are. And shows that they are actually - they're microclimates in themselves which are going to be crucial in the future as temperatures increase globally. So, it just shows that these big trees are what need protecting for these tree-dwelling animals. 19:13 - Can bad moods be contagious? Had bad day? Think twice about posting a miserable status update on social media, because you might be bringing all your friends down too. Can bad moods be contagious? with Jorina von Zimmermann, University College London. Have you had a bad day? Maybe you should think twice about posting a miserable status update on social media, because you might be bringing all your friends down with you. In a new study, researchers - including Facebook's own data team - have looked at the impact of seeing only positive or negative Facebook updates in people's news feeds, to see what kind of impact it had on their mood. It turns out that updates can be surprisingly contagious. Jorina - What they did is they used the newsfeed on Facebook and they manipulated it. Apparently, there's an algorithm which sort of shows the newsfeed to people depending on what they like and they manipulated this algorithm so that for some people, only newsfeeds were displayed with a lot of negative content - so negative emotional words basically - and for another group, they did the same thing but was positive emotional words. Kat - People seeing really positive stuff in their newsfeed, how did that influence them? Jorina - They looked at the effects of reading those newsfeeds on status updates and they found that the people who had received a lot of positive emotional content through the newsfeed, they actually had more positive status updates. Kat - And vice-versa for negative ones I guess. Jorina - Yes, so it worked exactly the other way around as well. Kat - Now this seems quite weird that just reading something, reading positive things from your friends will make you say more positive things on Facebook and vice versa. 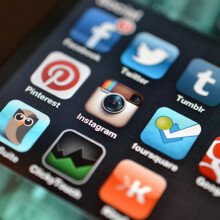 How does this fit in with what we know about social networks generally? Jorina - It's surprising that they don't have any other cues, just merely text. But it's not surprising in a sense that networks have been shown to be spreading behaviour in various kinds of ways like, they've been shown to spread obesity, destructive behaviour, violence, anxiety on the negative side. But then also, positive things like happiness. I think there was a study and they found that happiness really spreads over networks. If one person is happy, that can sort of influence on the people's moods as well. Kat - So, you're saying basically, if my friends are obese, that's going to influence me to become fatter and then if my friends are all kind of happy and thin then - I basically need to find some happy thin friends. Jorina - Yeah, that's exactly what the research would suggest. Just recently last year, they found that basically, people are influenced by 3 degrees and they called it "3 Degrees of Influence". What it means is that you as a person have an influence on other people by 3 degrees. So, you influence your friends and those friends have friends who you can also influence via your friends and those friends can also influence their friends. So, you can influence friend's friend's friends basically. Kat - To me, this seems really interesting that this is almost a whole new way of having influence quite a long way away. And people said, "Well Facebook, it's just for pictures of your kids or your dog, or something." This suggests that there can be real social impacts from social networking. Jorina - Yeah and this is sort of what the researchers say that networks are everywhere and they've become bigger and bigger. Now, they span the entire globe basically. I think they sometimes talk about global emotional synchrony. So basically, they're saying that one event or like one emotion that one individual has at one point can actually influence the emotions of many, many other people. Especially with things like Facebook that can potentially influence thousands of people. Kat - Are there any other examples of this kind of contagion going on on Facebook? Jorina - There's been another study done and they have used rainfall as a measurement. So they checked the status updates of people depending on rainfall and found out that rainfall decreases mood and makes people quite unhappy. What they found was that that will also influence the mood and the quality or like the emotional content of the status updates of the friends of these people who live in cities where it didn't rain. So basically, if it rains in London, and I've got a friend in Australia, potentially, my mood might get affected by the rainfall here, will also affect them even though the sun is shining and it's 30 degrees. Kat - So in these experiments, the Facebook team kind of manipulated people's newsfeeds. Do you reckon I should start unfollowing people who just post miserable stuff all the time? Jorina - Yeah, that could definitely be a solution I think. If you read negative things then even unconsciously, you'll probably be influenced by it. So, if you decide to read the happy content, maybe that makes you happier. My personal opinion is that, it works, just like that in the real world. If you go into a shop and the shop attendant smiles at you, it makes you happy. If you read something positive on Facebook about somebody who you care about, that will also make you happy. Kat - Jorina von Zimmerman. You can tell us what you think on the Naked Scientists Facebook page. Chris - Positive comments only, thank you. Bacteria can produce spores, natural packages which last for hundreds of years. Can we use these to keep drugs on the shelf for longer? Kat - So, let's start off with the obvious question, what is a spore? Graham - Well, most bacteria will consume nutrients as they grow. When the nutrients run out, essentially they die off or they adopt a quiescent or nonviable state. Spore forming bacteria on the other hand can sense when nutrients are running out and they decide to develop a spore as a survival mechanism. Kat - So, it's a bit like kind of an egg I guess, some kind of precious container for their genes. Graham - It's more like a seed I guess, yeah. Kat - And what do spores actually look like in sort of molecular terms? What makes a spore a spore? Graham - Well, spores from different species can look quite different. They all share the same general outer structure in that they have a spore coat on the outside and then a thick cell wall. In the middle of the spore, the spore core as well the DNA and the all the usual cellular proteins are kept. But the spore coat can look quite different in different species. Kat - How does it sense when the time is right to come back to life again? Graham - That's a good question and that's something I've been looking at for the last decade or so. Kat - So, it's like bits of proteins, so food. Graham - Yeah, bits of proteins or sugars are good signals that the spore now finds itself in an environment that's conducive to growth again. Kat - And it is staggering how incredibly hardy these things are. Just before the show, you were telling me about some of the incredibly old bacterial spores. How old are the oldest ones that have been found and reinvigorated? Graham - That's right. Most people will say, certainly, hundreds, if not, thousands of years, they'll be able to persist in an environment. But there were papers in Nature and Science maybe 10 or so years ago, claiming that they had revived spores from amber deposits and these were supposed to be millions of years old. Kat - Now, these seem like incredible little packages for things, very hardy, they can be reactivated. How are you trying to use this incredible natural thing for the benefit of packaging drugs? Tell me about your work. Graham - The main focus of our work has always been on spore germination, how they wake up. And more recently, we started thinking about the general spore structure and how it achieves dormancy and environmental protection. When we were working on that we realised that the spore core is exquisitely designed to store proteins and DNA for long periods. 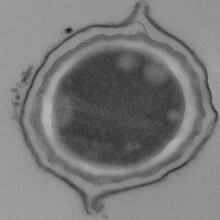 And so, the aim was if a spore can preserve a protein for a long time, a spore protein, then can it also be designed to make a therapeutic protein, a drug, and keep this in a spore core for an extended time? Kat - And would this be really useful because some drugs have some sort of small molecules and they're quite stable? This presumably would be for maybe more of the biological drugs that are a bit less stable. Graham - Yeah. We're thinking of proteins, antibodies and such like. Kat - So, how do you get them, these proteins, these useful proteins into a bacterial spore to store them? Graham - There are different ways of doing this, but I guess we're really focusing on engineering the spores, so a form of genetic engineering. We modify the vegetative cell such that when it senses it's running of nutrients then we've inserted a gene. We've inserted the information to make an antibody or a therapeutic protein and for the spore to make it and direct it to the spore core. Kat - So, the bugs will just go, "Oh! We're starving here. Quick, let's pack up everything and this thing that we've just made." Kat - ...and turn into spores. Graham - Yeah, we've got this new piece of information and we'll also channel that to the spore core and look after it. Kat - Is there any mileage in taking some of the proteins that make up the spores and trying to turn them into like little packing cases? Graham - Yeah. So, some people are quite nervous about spores and the idea of using them in medicine because spores are associated with Clostridium difficile infections and anthrax and things like that. But in fact, most spores are fairly harmless and can be used as probiotics. But the spore coat itself is made of up to about a hundred unique and different proteins. So, we can actually express those individually. We're starting to find out now that they will self-assemble into spheres and little shells that have some of the properties of spores, but lack the DNA and the genetic material that people are so scared of I guess. Kat - So, that could be sort of a cleaner way of doing it then. Graham - Yeah, a much cleaner way and the challenge is to make those non-viable shells as tough and resilient as the native spore itself. Kat - But then you still need to get them to uncoat in the same way because I guess when you're packaging the drugs in regular bacterial spores when they go into a person, there's loads of sugar and stuff, and they go, "Ooh! Off you go!" How would you get these shells to release their cargo? Graham - Yeah, so even with the normal spores, there's quite a challenge for them to actually release the proteins. So normally, when they germinate, they release small molecules, but not things the size of proteins. So, one of the challenges we're also looking at is, can we actually lyse the spore completely? Can we get it to pop when it germinates and to release its payload? But with the shells, we can look at things like changing the pH or the acidity and the alkalinity of the environment. This causes the shell to expand or contract. When it expands, it can actually start to release the payload. Kat - So, how much more work do you have to do because this sounds like, it's kind of a cool idea, but how close is it to actually, a reality? Graham - We've certainly made spores that have got drugs packaged up on the inside, and I think we're probably a year or so away from engineering spores that lyse or pop upon germination. But in terms of getting something to market or into clinical trials, we're looking at at least 5 years. Chris - Can this work with any kind of drug or will there be certain chemicals that it just won't work for? Graham - Yeah, we're finding that we're having to take on a case by case basis. So, we can't generalise with antibodies. We have to take one particular antibody and see if the spore can actually make it or not. Krishn&#257;a Mahbubani has been developing a way to put vaccines into suspended animation so they don’t need refrigerating. Here in the UK we can usually just buy new drugs if they run over their shelf life - but we go to huge lengths to get vaccinations to remote parts of the developing world, keeping them refrigerated the whole way as part of a so-called 'Cold Chain'. Chris - So, how are you doing this? Krishnaa - Well, we're looking at different methods in which we can insure that cells are stable when we remove the need to keep them cold. Chris - Why do we need to keep things in a constant cold chain when we're trying to ship things? Why do they go off? Krishnaa - Well, it depends what it is we're trying to put through. If you were to imagine milk as very simple analogy to this, if you took milk from the shelves in the supermarket and left it in your car for a week, it wouldn't quite live up to the shelf life that it says it would. Chris - I don't know. If you like cheese, it could be okay. Krishnaa - Well possibly, but they don't smell that grand when it comes out of milk bottle. But in the same way with the vaccines - they're designed and all the tests are always done within a temperature range of 2 to 8 degrees centigrade. So, when we're transporting and then delivering them, we need to keep them at that temperature because that's where we understand them. We know that they stay fairly stable. If we change the temperature and increase them, there's a chance especially for those that are live bacterial vaccines that they might replicate. And then we'll be giving people a dose that is a little higher than we expect them to be getting. So, we're not actually giving them an immune response. We'll be actually giving them the full-blown infection which is not really ideal. Chris - Not so good. So, how could you get around that? What are you trying to do to surmount the problem? Krishnaa - So, I'm looking at several different manufacturing processes that we can use that we put the bacterial vaccines through in order to dry them and remove the water out of them. And by removing the water, we put them in a state of suspended animation and that allows us to actually maintain the bacterial vaccine in that form without needing to keep them cold. Chris - Which bacteria are you doing this for? Krishnaa - So, I'm working predominantly with a [Salmonella] typhi vaccine which is an attenuated Salmonella based vaccine, but we've also worked with a variety of E. coli bacteria and other things to show that it also works across the board. Chris - So, this would stop things like typhoid. Chris - Okay, so when you say 'works across the board', are you saying that you could also use the bacteria to deliver other kinds of things to stimulate the immune response against things other than just typhoid or other sorts of infection? How did you do that? Krishnaa - Absolutely. Well, the idea is that we can make use of genetically engineered attenuated bacteria so that it would then give you the same - go through the same mechanism as if it were a platform and deliver a variety of different immune responses to you. So, we can actually manufacture a [Salmonella] typhi vaccine, you can manufacture say, for example, something against cholera, something against travellers' disease. Pretty much, whatever we can actually manufacture to put into the strain of bacteria, we'll be able to deliver it in this mechanism. Krishnaa - Well, they're actually vacuum-dried rather than freeze-dried, but it's a similar process. Chris - And then the person who is the recipient would just need to eat this and it would come back to life in their stomach. Krishnaa - Yeah. They just have to pop a pill, absolutely. Chris - So, what happens? Why doesn't it make them unwell? Krishnaa - Well, I can't guarantee that it won't make them unwell at this point because we're still trying to look into how much of a bacterial dose we need to give the patient so that they get the same immune response. Now, we normally give vaccines intramuscularly or through the bloodstream whereas my vaccines, the way we've designed it is, so that they would be taken orally and you'd get the same immune response through the small intestine where you have again, immune cells known as Peyer's patches and M cells. And you'd get the similar immune response that would happen, should you get an intramuscular vaccination. Chris - Very neat. So, in order to get the bacteria into this suspended animation state, you said you vacuum-dry them, you take away the water. So, tell me how that makes it possible to do what you're doing. Why does that make a difference? Krishnaa - The main problem that we tend to have with keeping bacteria in a liquid format is that they tend to carry on going through their regular biochemical reactions. That means that they will take nutrients that are in the liquid, use them up, create toxins within that same liquid as they're respiring or as they're kind of going through their regular day to day activities, they'd also potentially replicate and multiply. That makes it very difficult to control. This is where the cold chain comes into it by slowing down all the biochemical processes. We then have a relative shelf life within which we know they stay at a particular range and it's healthy and capable to be delivered to a person. When we dry it be removing all of the water in the system, we effectively stop these biochemical reactions. Bacteria are quite hardy little fellows and so, when you take the water out, they don't die off. They just kind of sit in a nice state where you can just keep hold of them for a little while. Chris - Will this work for any bacteria? Krishnaa - There's a large chance that it'll work for a variety of bacteria, but we don't know which types it will work for. I've managed to try them on a variety. So, I've done them on a range of probiotic bacteria, some E. coli cells as well as a Salmonella type of bacteria. So, it seems to work fairly well for all of them, but they each have slight different flaws in the way they rehydrate and how well they rehydrate. Chris - Once you've put them in this state, what will they tolerate? What sorts of conditions do they survive over, for how long? Krishnaa - Well, they're quite happy if they go back into their natural conditions. So far, my tests have shown that they survive quite well on the shell for about a year which is not too bad, but I'm sure there's more improvements that can be made. In terms of what they can tolerate, they're not anywhere near as hardy as the spores. Any change in pH, so any acidic conditions, they wouldn't survive very well. So, if we're delivering these vaccines, they'd have to be an enterically coated capsule so that they go past the stomach acids. In terms of other conditions or heavily alkali conditions, they're also pretty alright, but sometimes they get inactivated by the bile acids that we have in our small intestines. So, we've managed to manufacture it with the different components who allow it to bypass all of these problems. Chris - Unlike Graham's spores which aren't yet quite at a stage where you can put them in a patient, are you at the stage where you have got something that could go into a person? Krishnaa - They're currently at a pre-clinical stage. They're nowhere near going into people, but we've definitely got some pre-clinical trials being carried out by a different company at the moment. How do we protect substances we need to survive harsh environments like washing powder or even our stomachs? This week we've been talking about protecting the tiny biological entities which help us every day. What can we do about enzymes, or substances we need to protect in harsh environments like washing liquids or even our stomachs? Alex Routh from the University of Cambridge has developed a new technique to produce protective shells around tiny droplets of water into which these helpers have been mixed. First, water - containing the thing he wants to package and protect - is mixed with vegetable oil and a specially-designed polymer that will form the protective shells. 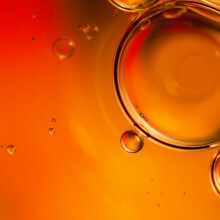 Shaking this mixture produces millions of tiny water droplets suspended in the oil. 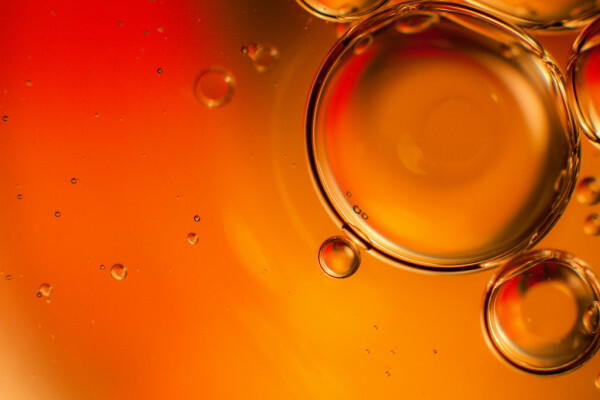 Because of its chemical nature, the shell-forming polymer collects around each of the tiny water droplets where they meet - or form an interface with - the oil, completely encasing them. Adding some alcohol - ethanol - then locks these polymer shells in place, so the oil can be removed leaving the encased water droplets together with whatever was mixed into the water at the start. Alex showed Kate Lamble how the technique works at the BP Institute in Cambridge. Alex - So, what we've been trying to do is trying to protect biological things through harsh environments. So, you might think of enzymes in washing liquids or bacteria in probiotic yogurts. The stomach is designed to protect us from nasties that you might eat. So, a lot of bacteria in probiotic yogurts will get killed off in the stomach. If we can make formulation where more will survive, that's got to be a better thing. Kate - When you start thinking about encapsulation, what's the process by which you work out which device you want to go for? How do you start thinking about it? Alex - Well, we were trying to think how could we encapsulate biological things and quite soon, we arrived at the idea of water droplets because biological things are happy in water. So, we can put our enzyme or our bacteria into a water droplet and then you want to somehow put a shell around that droplet, and how to put that shell there, we use a technique where we have a huge number of little particles in the water. We make them so that it want to be in the oil. So, they will naturally migrate to the oil interface. So, they will form the shell on their own, create the capsule, and so, protect the enzyme. Kate - Can we go and see how it's done? Alex - Absolutely. So, we're in the labs of the BP Institute. We're here with Weijin Gun who's one of our post docs working here and he's going to show us how he makes what we've called colloidosomes which are these capsules that we can encapsulate biological entities in. Weijin - I'm going to use a pipette to pipette 7.6 mls of sunflower oil, just typical Sainsburys or Waitrose sunflower oil. Kate - Just the Waitrose sunflower oil will give you slightly higher class of bio encapsulating. Weijin - Yeah, probably a poshier microcapsule. Alex - The interesting thing we found is that we had a Japanese visitor come over and then he tried using Japanese sunflower oil and that didn't work. Kate - Why wouldn't Japanese sunflower oil worked? Alex - It's a different vegetable. Weijin - So, I've pipetted 7.6 mls of sunflower oil. Now, I'm adding ethanol. Alex - The reason we're doing this is that when the little particles go to the interface, we don't want them to just go to the interface. We want them to stay there irreversibly. Kate - How does the ethanol help the particles lock in place? Alex - It will change the interaction between the particles so they will just come together. Weijin - So, when I mixed ethanol and sunflower oil together, I start vortexing the solution for like a minute. So now, you can see slightly cloudy because you get air droplets in, but the ethanol is well dispersed. So, after 5 minutes, you can see there's no more air bubbles in the solution. Alex - We've got the vegetable oil and the ethanol. And now, we're going to add the water phase with the particles in. Kate - So, we've got some very - is it slightly thicker white solution going in? Alex - It looks like milk really. Kate - Have you made the particles to go in that or is that something that you've got off the shelf I suppose? Alex - We synthesise these particles ourselves. They're made of polystyrene and another polymer called polybutylacrylate. So, these are acrylic based particles, exactly the same as you would get when you buy wall paint. Weijin - If you want to encapsulate biological stuff, you can put in your yeast. Alex - The reason you start with yeast cells is, they're the most robust or biological thing you can. So, it's the first entity to start with. And then we moved into bacteria and enzymes. Weijin - I add it in into the sunflower oil and this time, we're going to vortex it again for about a minute. Alex - And we're going to make little water droplets in the oil. Kate - So, this is just as if I were shaking up a salad dressing or something. You'd form the same thing. Alex - Just the same as your vinaigrette dressing at home. Kate - So, once they're mixed, how long do they stay in there in their encapsulated form if we're hoping that they'll go into washing powders and things? Are they going to stay in their little spheres forever? Alex - Yes, they will stay in there forever because they are bigger than the holes in the capsules. So, they can stay there indefinitely. What we found though is that that worked great for bacteria. But the enzymes were too small. So, when we form the shell, there were always holes in there and the enzymes would leak out. So we have to then put another shell around our first shell and what we did was we put a shell of calcium carbonate around there. Kate - In my mind, calcium carbonate, limestone. It's quite bad at surviving acidic environments. Is this the same thing that we'd using for stomach acid and things like that? Alex - For the stomach acid, we found that for bacteria, we didn't need the second shell of calcium carbonate. So, the polymer shell was sufficient because the bacteria were larger so they couldn't get through the holes. You're absolutely right that the calcium carbonate will dissolve in acid and we've used that to release something so you can have a triggered release of your capsule when you put it into acid. Weijin - As you can see, it's cloudy solution. Kate - But if we look closely, we'd be able to see those individual water droplets which could if we wanted, contain our biological agent. Weijin - Yes. If you put yeast in it and you look at it under the optical microscope over time, you can see the yeast cells replicating itself. Kate - If you're putting something like bacteria inside that and hasn't got a food source, how long can they remain active? Alex - The shell of the capsule is very porous. So, we can make food go into the capsules to feed the bacteria and products come out. So, you can imagine using these as mini bioreactors where you can hold your bacteria in the site and get products coming out of the droplet. Kate - We can see that it's cloudy. Certainly, cloudier than it was when it was just the oil and the ethanol. Can we see the droplets within it or are they too tiny for us to visibly see? Alex - We can certainly put them on a microscope and see the droplets. Kate - Fabulous! So, let's have a look. So, we've come over to a very impressive looking microscope. So, it is now coming into view? You can see tens of tiny water droplets. As it would look like on your window pane after it's had a bit of a rain, sort of hundreds of tiny water droplets. Alex - Absolutely and now what we're trying to do is take those water droplets which are very easy to make and preserve them by putting these particles at the interface so that the droplets are stable. So, when you see the water droplets go down your windscreen when it's raining, they'll merge together and form big water lumps. We want to stop that and to keep them as the water droplets. Kate - So, we've talked about enzymes in washing powder and good bacteria getting to your gut. Are there any future applications that you'd like to get into? Alex - The application we'd like to get into would be oral vaccines. So, when you have a vaccine, you have to take an injection to get that into your bloodstream because your stomach will kill the vaccine. So, if you can encapsulate that and get it through the stomach and make it survive that process, that will be a huge benefit to people who don't like injections. 46:13 - Freeze drying blood! So we have ways of protecting proteins, enzymes, and bacteria - but what about something infinitely more complicated - human blood! So we have ways of protecting, proteins, enzymes, and bacteria - but what about something infinitely more complicated - human cells, and particularly blood! Krishnaa Mahbubani from the University of Cambridge spoke to Chris Smith about how she's started to try and unpick this new challenge. Chris - Why do you want to freeze dry blood? We've got blood banks that they're pretty accessible. Why do you need to freeze dry this stuff? Krishnaa - Say for example, you're in the frontline of a war zone. You've just gotten shot in the leg and no medic is going to be able to get to you for a little while. What do you do then? Your chances of survival are suddenly dropping dramatically. Now, if you could imagine that within your pack, in your rucksack, you had with you - a bag of your own blood powdered and dried down so it would store for quite a decent amount of time and a bag of saline to make sure that you always had something sterile to mix with it. One of your buddies on the force has come on over very quickly, very valiantly to come rescue you, mix these two together and set you up an IV. All of a sudden, your rates of survival have increased dramatically. So, that's partly some of the motivation behind why I want to do this. It's also an ability to create a supply chain for red blood cells. Now, while we do have blood banks, we can only store our blood for up to 42 days before we have to pretty much chuck it out. Chris - So, if you could in some way freeze dry the blood, preserve it in a dried format, A) it would take up less space, but it could potentially be stored indefinitely or at least for a much longer period of time so our blood crisis would be solved. Krishnaa - Yeah, absolutely. I mean, this comes into account when we've got big national or international events that take place where we suddenly got an influx of people coming into the country. When we had the Olympics here for example, when Brazil is about to have the World Cup, they're going to have a mass influx of people in there which means they're suddenly going to have to be stockpiling blood products to make sure that they have enough, should there be an emergency scenario. Chris - Why can't we do this at the moment for blood? You can do it for bacteria. Why can't you do it for human blood? Krishnaa - Blood is a mammalian cell. It's slightly different from bacteria in the sense that they're less hardy. 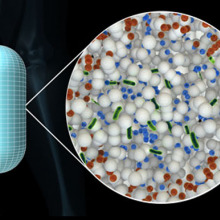 Now bacterial cells have a cell wall around them which are quite robust. I always like to say that you can pretty much chuck your bacteria at the wall and it's still going to survive up there. You put any other mammalian cell or any softer cell up against a wall and it's just going to pop and rupture. And that's the problem with red blood cells. They're very sensitive materials. They have to be able to be flexible enough to go through the smallest of your capillaries in order to allow you to get that transfer of oxygen and carbon dioxide in and out of your system. But also the fact that their entire nature is a transfer of gases which means that membrane on the outside of them that holds them all together has got to be thin enough and simple enough for these gases to just diffuse in and out of very quickly. Otherwise, we'd be struggling to breathe on a regular basis. Chris - So, that makes them very vulnerable. So, you've got a challenge of overcoming that vulnerability. So, how are you doing it? Krishnaa - So, we're using a slightly more conservative method in which we dry the cell. So, with the bacteria that we did before, I was saying we use vacuum drying where we effectively mix it up with a surfactant and just put it under pressure and boil the water off. Now, what we have to do is freeze the blood down first and then gradually pull it under vacuum and use that to remove the water. So, we're actually subliming the water out. We're taking it from the ice phase, straight into the vapour phase. We're not actually putting it under a liquid phase at all. Chris - So, you're putting a chemical in, which will get inside the cells and stabilise everything. Krishnaa - Well, we're not really putting a chemical in because we have to remember that at some point, we're going to be putting these cells back into another human being. So, we're trying to make use of items and components that are quite natural and very easy for us to break down. So, I'm using natural sugars as the chemical component to protect our cells from freezing. Chris - Those will therefore protect the cells so that they can then tolerate being frozen. Chris - And then once they're frozen, you put the whole thing under a vacuum or a low pressure and that causes the water molecules to just - for want of a better phrase - evaporate off. Krishnaa - Absolutely. So, what you're doing is basically changing what would be the boiling point of water by putting it under a vacuum. So where normally water would boil off at a hundred degrees, we're dropping it down so it would boil off as low as negative 30 degrees. Chris - Right and do the cells actually survive this treatment? Krishnaa - At the moment, very few of them. Chris - Okay, how many? Krishnaa - Currently only about 2 to 3% of my cells survive every one I do. Chris - Do you know why they don't survive? Is it just that you need more of these sugars and things to stabilise them better? Krishnaa - Yes. Well, there's a variety of reasons that might be causing them to die. The freezing process itself is quite a stressful scenario. Imagine what it feels like to your fingers and hands when you've kind of rummaged around in the freezer. You feel like your fingers are very numb and you sometimes have these things where you feel like you've actually worn the surface of your skin off with freezer burn. This is what's happening, when you freeze things, water expands as it freezes and what's happening is that these cells are then expanding because they're mostly made of water. And that's causing the cells to rupture as well. So, the freezing process could be part of the problem. The reason we load them with sugar is to actually try and stop the ice crystals from forming in the wrong parts of the cells, causing them to lyse as well. Chris - And how long do you think it'll be before we actually have an answer to this? Krishnaa - I want it to be in the next few years really, but I really have no idea. 51:44 - Would cremated ashes help plant growth? Would a scattering of your beloved's ashes be good for plant growth? Or could it be toxic? Would cremated ashes help plant growth? Hannah - So, it turns out that burning a body results in ashes that are rich in phosphates, calcium, potassium, and sodium. Could these benefit a plant? I went to visit Sally Petite, Head Gardener at the beautiful Cambridge University Botanic Gardens. Sally - It's really interesting concept, the idea of adding human ashes to plants to improve growth. All plants ultimately require a balance of what we call macronutrients which are things like nitrogen and potassium and also, micro-nutrients such as zinc and carbon and manganese. These all exist in plants in a very, very finely tuned balance. An excess of anyone of these individually can have an impact on plant growth. So for example, calcium will rapidly reduce the supply of nitrogen within a plant which affects protein and growth and result potentially in a poor yield of plants or fruit. An excess of calcium will also result in a reduction of the water control and photosynthesis and this can be apparent in things like browning, scorching and spotting of leaves. Again, with an excess of phosphorus, the fruits will mature early and you will actually potentially have a poor yield of crops because the plant hasn't actually established properly to support a very high yield. Similarly, an increase in salts or sodium can increase particularly osmotic pressure or the water pressure within a plant and actually, ultimately result in dehydration. So, potentially, the addition of human ash to a plant may in fact be a detrimental effect rather than a positive one. Hannah - Thanks, Sally and it turns out that the nutritional content of ashes can vary between individuals, depending on diet, where you live and age. Plus, if mercury or gold fillings feature, traces of these in the ash could be toxic to the plant.